Experience — For more than a decade our consulting team has helped Maine leaders achieve their goals. That experience and all that we’ve learned will inform our work with you. Relationships — We have one of the largest leadership networks in Maine. Count on us to connect you to people who can help you achieve your goals. Practical solutions — You can’t afford to waste time or money. We will provide you with the advice you need, processes that are efficient, and practical solutions to the challenges you face. Results — We get hired because we solve problems, maximize opportunities and get results. "I've worked with a wide variety of skilled consultants over the years and have found my experience with Starboard Leadership Consulting to be exceptional on every front. Starboard has provided us with wisdom, guidance and support at major strategic moments. I have called upon their team for strategic planning, to help us with board and agency-wide engagement, for leadership training and senior leadership team development, and merger consultation. In every instance, Starboard has been an amazing partner." Every consulting relationship begins with a conversation. We listen, we ask questions, and we consider with you how to tailor our services to best meet your needs and your budget. There is no “cookie-cutter” approach to any of the services we offer. Strategic planning — You want an efficient planning process that results in effective strategies and leads to action. You can count on us to make this happen. Team building — High-performing organizations have effective leaders and exceptional teamwork. We can help you develop both and achieve greater results. 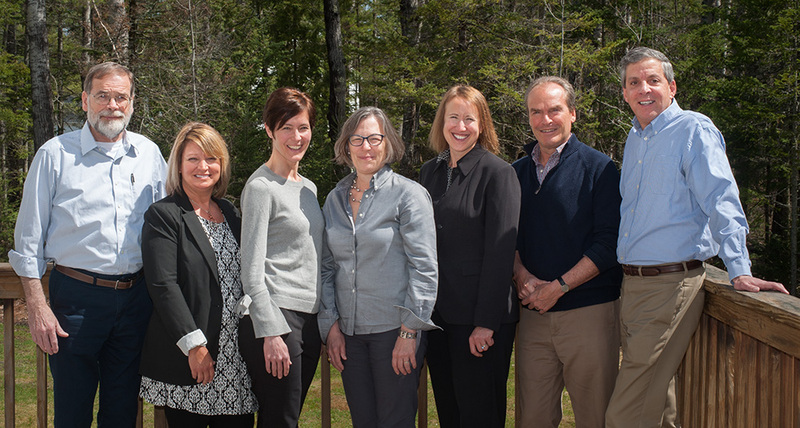 Board governance — Over one-hundred Maine nonprofit leaders have relied on us to help transform their boards, their recruitment and their governance models. Executive search — We can manage all aspects of your search process as we tap-into our extensive network to find your next leader. Executive coaching —Our coaching process is completely customized, highly personal, and developed specifically to meet your needs. Everything DiSC® — Through authorized partnerships with Wiley Publishing's Everything DiSC® and the Five Behaviors of a Cohesive Team™, we are ready to bring to you and your organization an array of powerful assessment and training tools, designed for both individuals and teams, and used successfully by thousands of companies worldwide. At Starboard, we draw upon the extensive and varied experience of our consulting team to provide you with the essential expertise and guidance you need. We are happy to share what we learn, and we do this as workshop instructors, by developing curriculum for the Maine Association of Nonprofits, and by offering advice on our Starboard blog. Take a look. You just might find the guidance you need!